Amie Hoff is an internationally recognized fitness expert, in the industry for over 20 years. Amie is dedicated to improving the lives of people everywhere. As a corporate fitness consultant, media contributor, public speaker and personal trainer, Amie thrives as a motivator and role model, sharing her expert fitness and health knowledge around the globe. Read Amie’s full bio with extensive work in the corporate and fitness industries. Amie is available to work with your corporation or organization to help develop programs and initiatives to meet your wellness needs. Learn More about how Amie can help. Amie is an international media contributor on all things fitness, health and wellness. She is available for interviews, on-camera segments and radio show. Contact Amie’s media team for opportunities. Amie is certified by the National Academy of Sports Medicine, Equinox Fitness Training Institute, Sports Specific Training, Pre/Post Natal, CPR/First Aid – Contact Amie for rates and availability. As a Media Contributor, Amie shares fitness tips and advice on National and local TV segments. Amie is frequently called upon to provide health and fitness tips on TV, online and in the local, national and global press. Amie thrives on helping people everywhere get healthy and fit. She has been lucky enough to work with Dr. Oz (who loves FitKit! ), Matt Lauer and other notable media talents and outlets. Amie also had the privilege to share FitKit with Barbara Corcoran of Shark Tank fame to gain insightful business strategies and the positive influence to grow the brand. 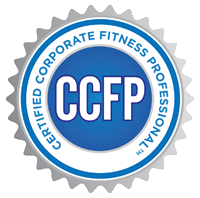 As a NYC based certified fitness professional, Hoff consults on corporate health and fitness. She provides services to support internal wellness efforts, introducing fresh techniques and advancements developed from across the health and fitness industry. Her skill set, corporate fitness & nutrition experience, and hi-touch approach brings a much needed perspective to already successful wellness programs. Fitness/Wellness Strategies: Amie will collaboratively work with your team, advising on and implementing creative and innovative ideas to help move your wellness program forward. With your team to review and understand existing structure and primary objectives to collaboratively find specific solutions and implementation strategies. On timely topics from hyper tension and stress reduction to motivation and goal setting. And everything in between. Strength, Cardio, Flexibility, Balance, Yoga etc.